Swaraj Tractors crosses 15 lakh units production milestone: Swaraj Tractors, a part of the USD 20.7 billion Mahindra Group today announced that it had crossed a production milestone of 15 Lakh tractors since its inception over 4 decades ago. The milestone is a testament to the customer’s confidence in brand Swaraj. The brand has very high customer loyalty and trust built around the value of being authentic and powerful, fondly called as “Mera Swaraj”. This achievement has further cemented Swaraj’s reputation of being one of the fastest growing brands in the domestic tractor market over the past few years. Swaraj produced over 1,20,000 tractors in financial year 2018-19 itself. Speaking on the milestone, Harish Chavan CEO, Swaraj Division said, “We are thankful to all our stakeholders for their unconditional support toward the growth of this brand. Swaraj has constantly achieved manufacturing excellence which reflects our commitment and spirit of accepting no limits. This achievement will be a stepping stone to many more accolades for us in times to come”. Swaraj achieved the first 5 lakh tractor production milestone in 28 years in 2002. The second 5 lakh figure was completed over the next 11 years in 2013. The next additional 5 lakh production milestone was achieved in just 5 years wherein the tractor maker has reached the 15 lakh units’ milestone. Swaraj has three manufacturing units (including a foundry) and an R&D centre, all located in Punjab. The 15th lakh tractor to roll out from the production line was the Swaraj 735FE, one of the company’s highest selling models. Swaraj currently manufactures tractors in the range of 15HP to 65HP and provides comprehensive farming solutions for the Indian market. Swaraj Tractors a division of the USD 20.7 billion Mahindra Group and is India’s second largest and fastest growing tractor brand. 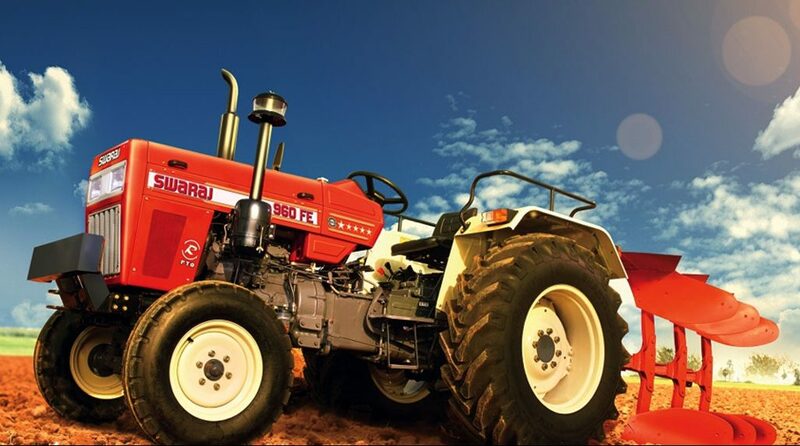 Established in 1974, Swaraj has sold over 1.3 million tractors since inception. Based in Punjab, the grain bowl of India, Swaraj is a brand that is made by the farmer, for the farmer as many of its employees are also farmers. They bring real world performance and create an authentic, powerful product with assured performance and enduring quality, designed with one purpose – enabling the Indian farmer to Rise. Swaraj Tractors, consistently ranked among top two players in Customer Satisfaction in India, manufactures tractors in the range of 15HP to 65HP and also provides complete farming solutions.